You are here: Home » Could New BTL Underwriting Rules Spur Expat Mortgage Activity? In March, the Bank of England revealed that it plans to introduce stricter rules for buy-to-let mortgage underwriting. Whilst the new rules were criticised by some as another attack on landlords and expat investors, Liquid Expat Mortgages believes the new PRA rules wouldn’t be nearly as bad as they sound. 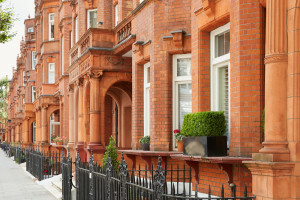 However, it is likely to spur an increase in activity in the months leading up to intervention, as property buyers act fast to snap up buy-to-let (BTL) investments before the rules come into effect. Let us explore the proposed intervention, and how we anticipate it will impact the market. On recommendation of the Prudential Regulation Authority (PRA), the government plans to implement minimum criteria for buy-to-let mortgage applicants, effectively reducing the amount landlords can borrow. This will involve assessing current and projected interest rates, tax liabilities, non-rental income and more, to determine the loan’s affordability. Portfolio landlords with multiple properties are likely to receive extra scrutiny. With the new rules expected to be introduced as early as January 2017, many landlords and expats are bringing forward their investment plans, to secure finance before these underwriting assessments come into force. As the introduction of the new stamp duty levy saw similar activity in the intervening months, we anticipate a high level of BTL mortgage applications towards the end of 2016, particularly amongst large-scale investors with a growing portfolio. Whilst news of these ‘stricter’ rules may cause panic amongst some investors, at Liquid Expat Mortgages we are reassuring our clients on the limited impact these changes are likely to have on the market. Many lenders already employ integrity when underwriting their loans, particularly for expat mortgages, meaning that the new rules could mean little change to the criteria for expat and foreign national investors. “These measures will be intended to strengthen the financial stability of the property market, which could make the UK even more attractive for low risk expat investors. Nevertheless, for those looking to invest in the UK property market over the year ahead, or remortgage their existing portfolio, the months leading up to January 2017 are likely to be a smart time to do so,” says Stuart Marshall, Director of Liquid Expat Mortgages. The new rules proposed by the PRA may seem like a signal shift in the BTL market, but it’s crucial not to panic when planning your investment decisions. To find out more about BTL mortgages in the UK, visit our website. Looking for expert advice on the incoming changes and the BTL mortgage options available to you? Contact Liquid Expat Mortgages today.